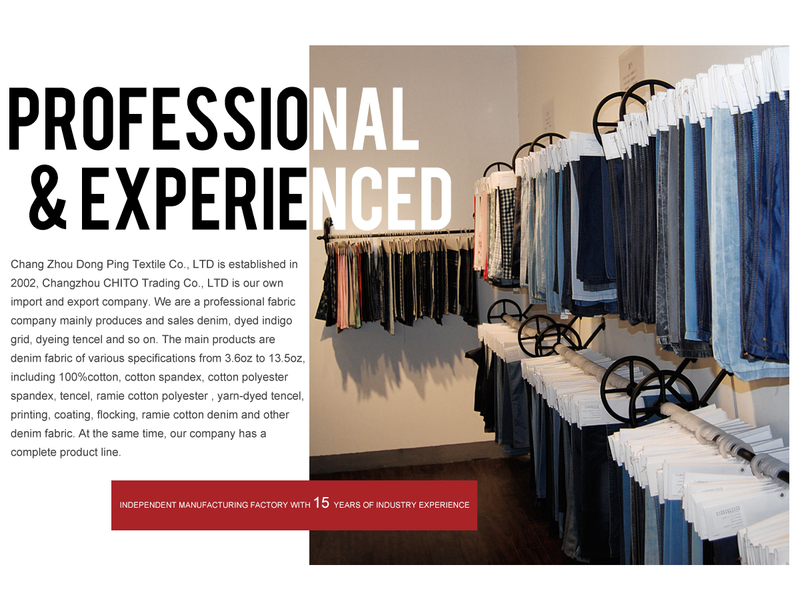 Changzhou CHITO Trade Co., Ltd.
With the leading level in the development and application of tencel products Chang Zhou Dong Ping Textile Co., LTD is established in 2002, Changzhou CHITO Trading Co., LTD is our own import and export company. 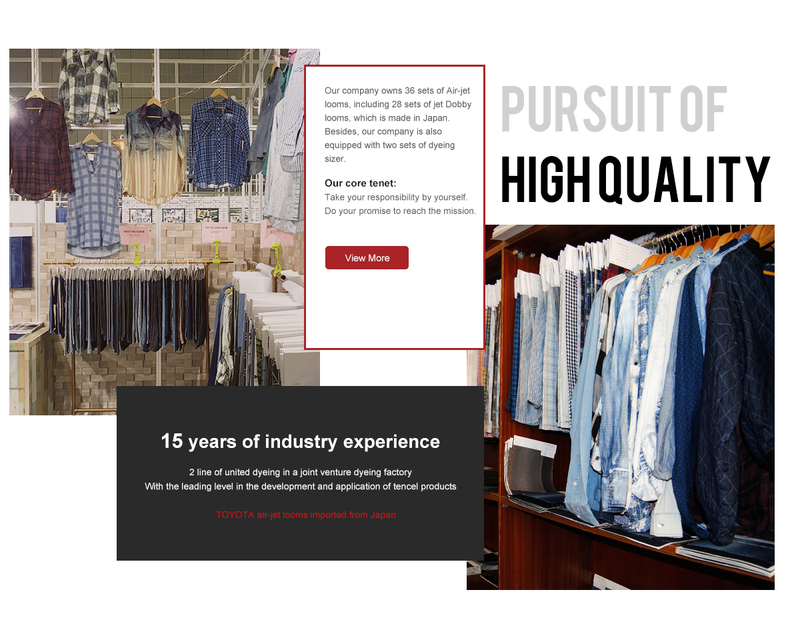 We are a professional fabric company mainly produces and sales denim, dyed indigo grid, dyeing tencel and so on. 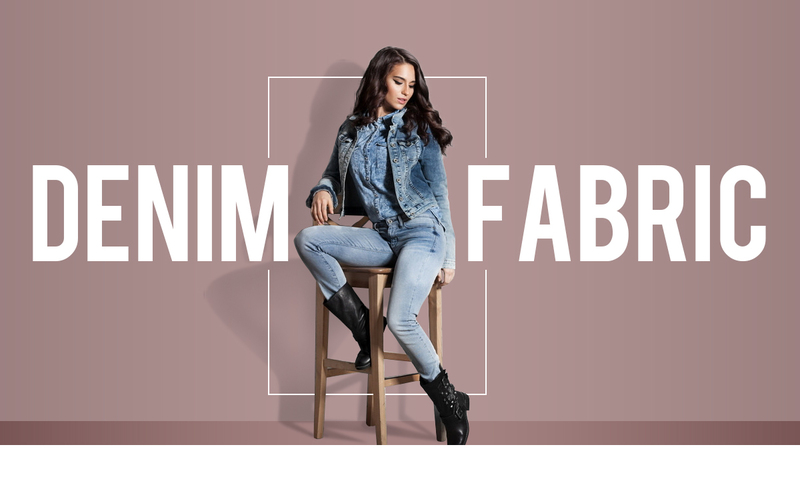 The main products are denim fabric of various specifications from 3.6oz to 13.5oz, including 100%cotton, cotton spandex, cotton polyester spandex, tencel, ramie cotton polyester , yarn-dyed tencel, printing, coating, flocking, ramie cotton denim and other denim fabric. At the same time, our company has a complete product line. Our company owns 36 sets of Air-jet looms, including 28 sets of jet Dobby looms, which is made in Japan. 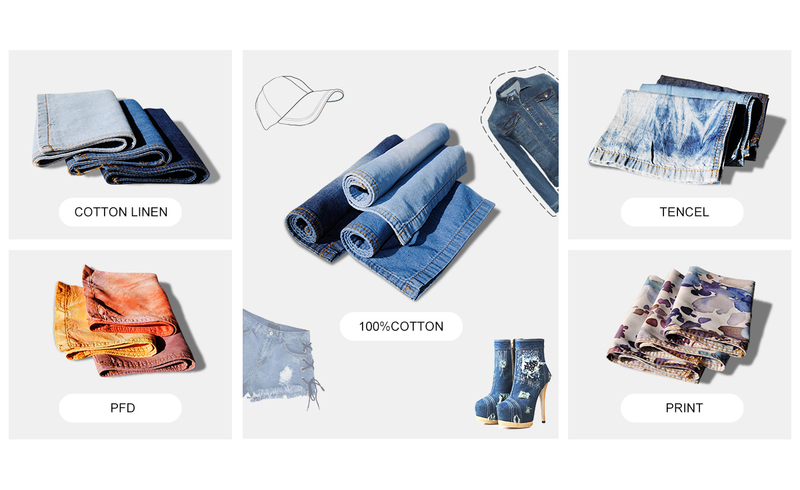 Besides, our company is also equipped with two sets of dyeing sizer. Our capacity is 10 capacity million meters per year. All of our products sell well in the United States, South Korea, Italy, Britain, Bangladesh, Vietnam and other places. We have won the trust of customers at home and abroad since we adhere to the quality of being, the operating principle of good faith for this, implement based on products, focus on the development of business philosophy.